One of our favourite channels on TV (besides FoodTV, of course) is the OLN, especially the Pilot Guides series. A few weeks before we left for Washington DC, coincidentally, the channel happened to show an episode in Virgina which focuses on the Historic Triangle of Virgina which included Williamsburg, Jamestown and Yorktown. It is that episode that had us change our itinerary to include a day here. 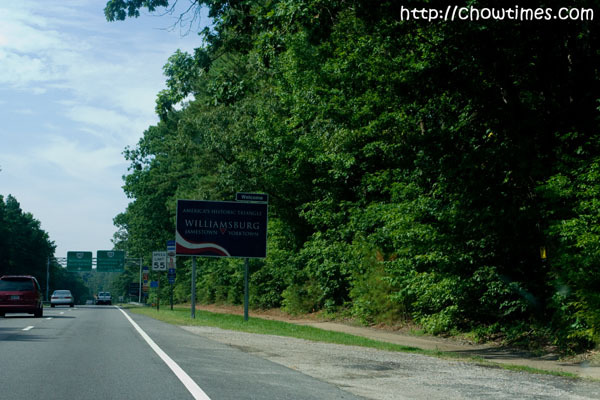 The Colonial Williamsburg is located about 2.5 hours south of Washington DC. It is quite a distance seeing that one would need a total of 5 hours of driving time in all. The drive was pleasant and with the GPS it is easy to find. 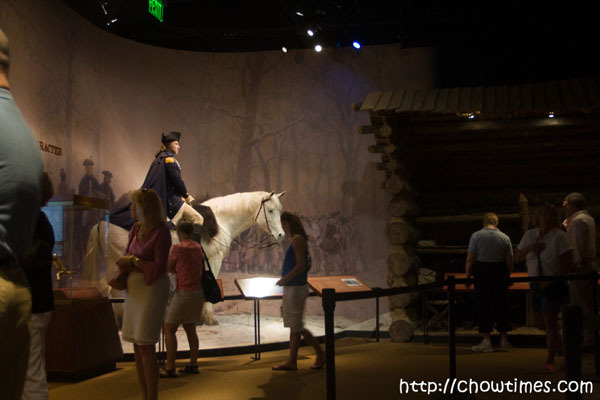 Visiting Colonial Williamsburg is more of an educational trip than anything. So, if you have kids like ours who had zero interests in anything older than 6 months, then this is NOT a place to bring them to. 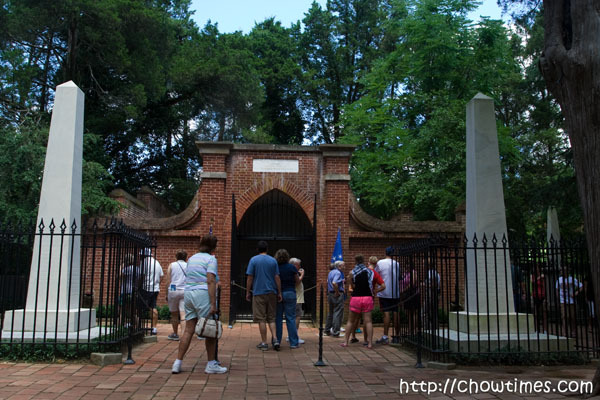 The primary reason for the creation of Colonial Williamsburg is to educate the people of the origin of the idea of America before the days of the American Revolution. 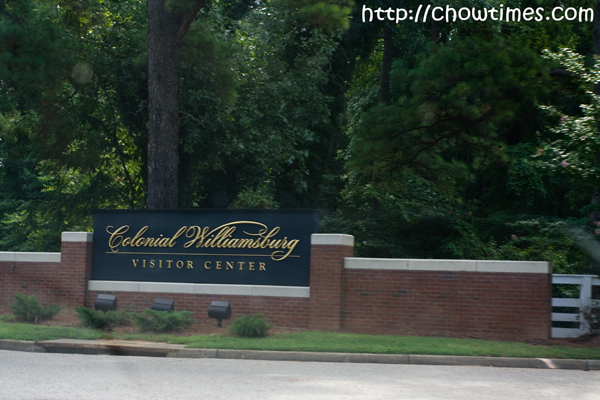 Williamsburg was the former colonial capital of Virginia. 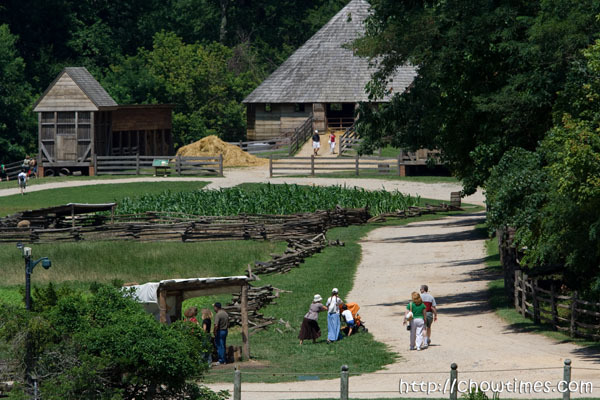 It was the center of the Virginia Colony government, culture and education of its time. The entire area you see above had been painstakingly restored to it’s original condition as it was in the early 1700s. 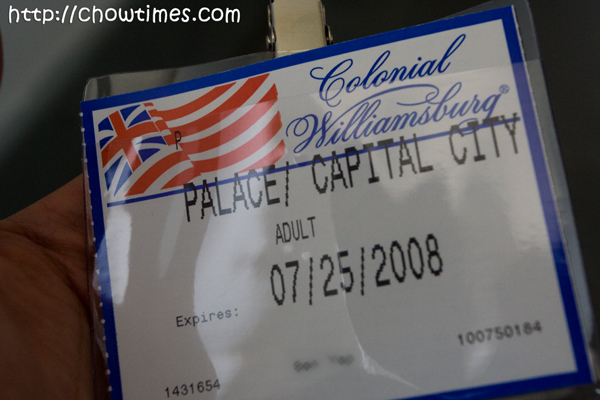 Its restorations began in the early 1900s and today about 85% of the Williamsburg capital’s buildings had been restored. Today, the entire area is a living museum. 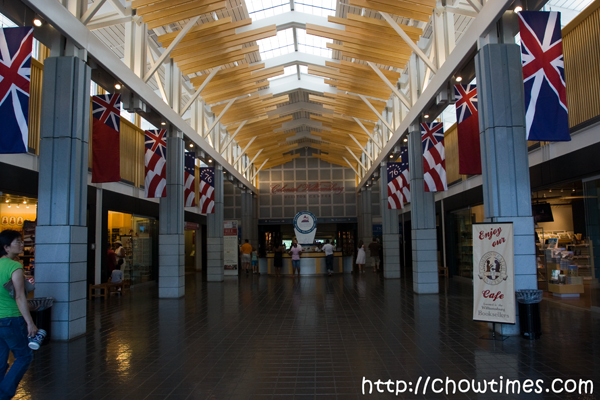 This being a colonial capital, the town was named Williamsburg after King William III of Great Britain. 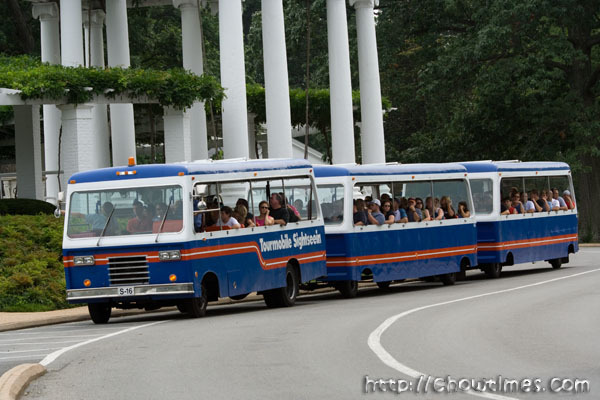 Everyone starts the trip to Colonial Williamsburg at the Visitor Center. 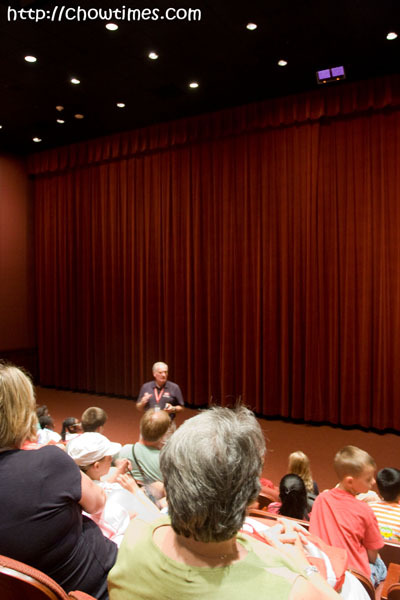 There is a free movie here that helps all visitors understand the issues of the day — the life and struggles of those who remain loyal to the King of England and those who desires independence. 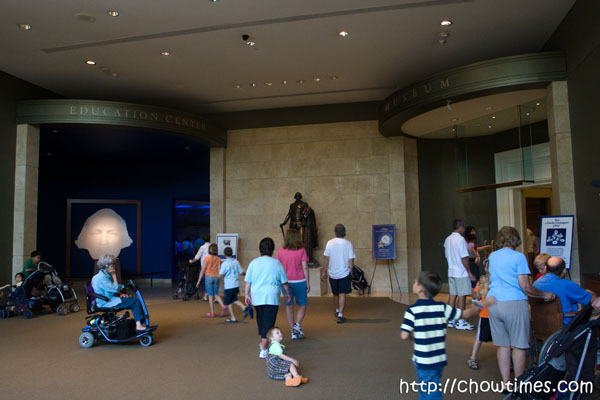 Although a one day trip would be sufficient, there are many who spend a few days here together with visits to the other nearby historic towns of Jamestown and Yorktown. The tour options were plenty. It took us a while to decide what we wanted to do. 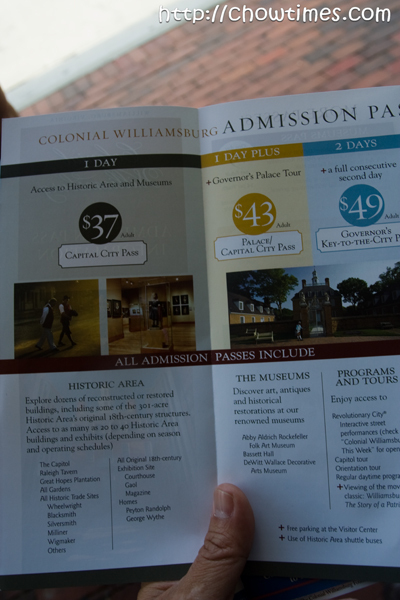 Although you could visit and walk through Williamsburg for free, you will not be able to pop into the buildings unless you have a dated pass. The map was handy. You will want this as a reference as you walk through Williamsburg. This is the last day of our stay in Washington DC. The day was going to be spent in Colonial Williamsburg in Virginia. Since it was going to be a 2.5 hours drive southbound from Washington DC, we had an early start and make a stop somewhere along the way for breakfast. We knew there will be lots of eating places along the interstate, so no worries there even though we don’t know of any particular place. We stopped at a Waffle House. 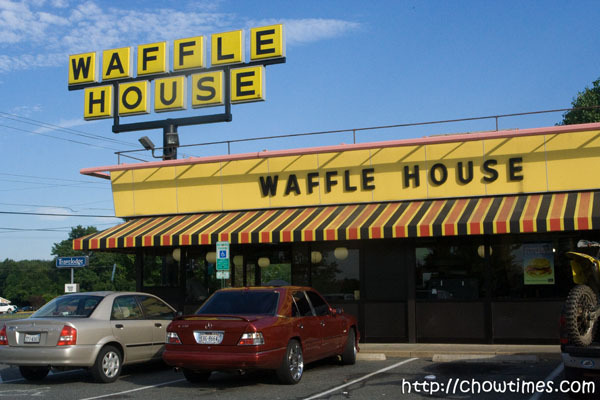 I remembered going to a Waffle House once when I was in Atlanta on business and really enjoyed the food there. I blogged about it here. 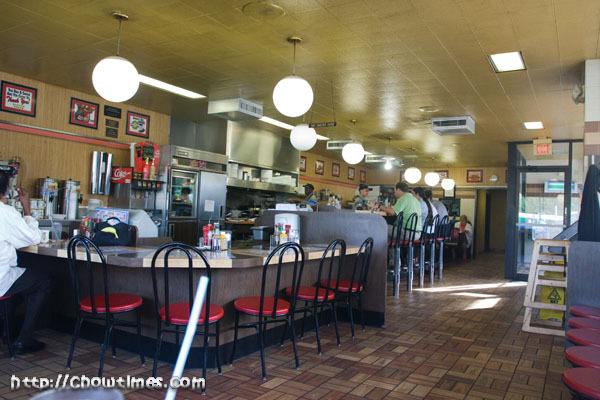 I would describe the Waffle House as a greasy spoon place. Not sure about you. I mean, I see many of their customers scruffy looking, unshaven, etc. LOL! The place was so unexpectedly noisy … full of chatter. 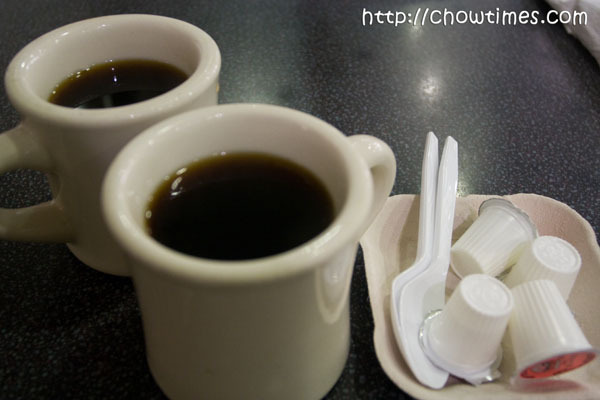 I expected breakfast places to be quiet because most people would have been still half-asleep. Not here … boy, the customers and the workers sure had a lot of things to talk about! And I do also term Waffle House as smoker friendly. This is because they actually have a smoking section which is what you see at the row at the far end. First thing we walked into the place, we were asked if we wanted smoking or non-smoking. Suanne half wanted to turn around immediately as second hand smoke irritates her big time. It was not so bad where they put us … no hint of smoke there. Jason is a Vancouver area food blogger who hailed from Washington DC. Check out his blog at Eat Vancouver. He is the one who provided us idea of places to eat in Washington DC and they turned out excellent. 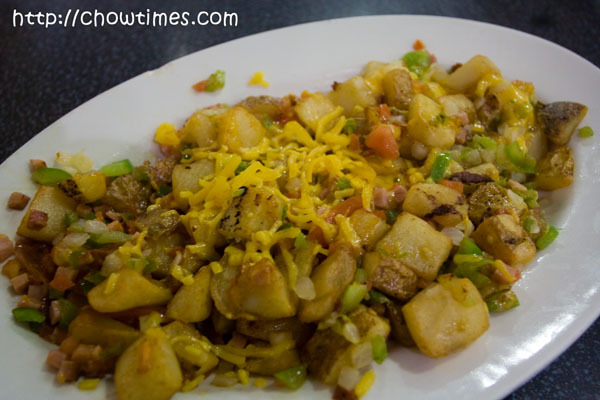 Of a few suggestions, he specifically mentioned of a place that is a “must try”. That place was Ray’s The Steaks. Ray’s The Steaks is undoubtedly a hugely popular restaurant judging by the crowd. It is located on a strip mall with rather limited parking. We had to wait 10 minutes to get one spot. By the time we got a spot, someone else promptly double parked behind us and left it there even until we were done with the dinner. I read that Ray’s The Steaks is quite spartan and it shows. Even the sign is just painted on and does not catch one’s eye at all. They even set up a drinking bin outside obviously for the customers who had to wait for a long time for a table. Like I earlier mentioned, the place is spartan. There is hardly any decor here — just the basic tables and chairs and empty walls. Their claim to fame is their steaks … and nothing but their steaks. So everything else does not matter. 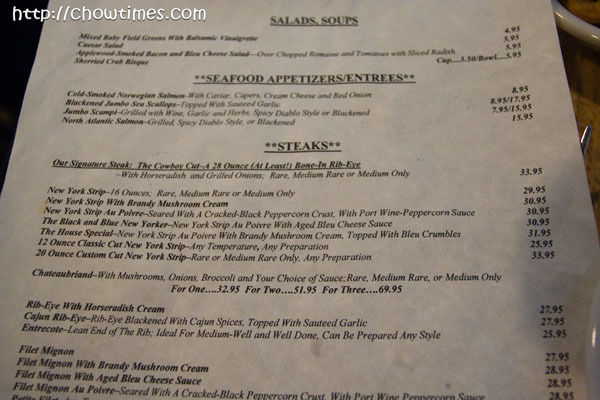 Even the menu is a piece of overused xerox’d paper. Suanne and I had a good chuckle over this because we had never seen a cheaper looking menu with such high prices on it. We got served very fast. 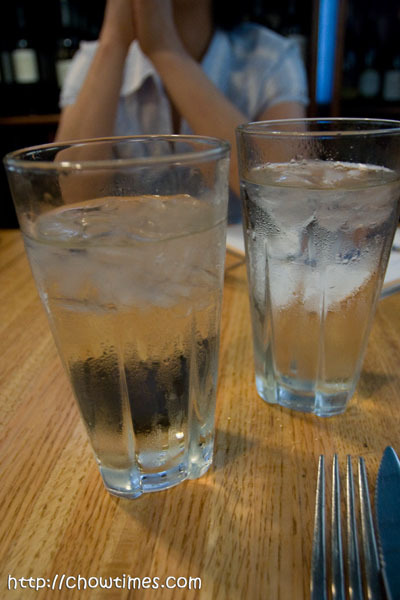 They gave us two glasses of ice water which was what we needed. Ray’s The Steaks do have wine and a respectable selection of that too. Suanne and I are not wine people — we erupt in sensitive rashes that lasts for days the moment we drink more than two glasses! 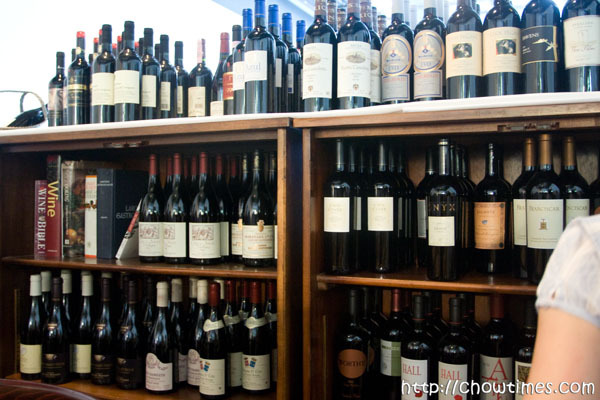 I believe it is in Asian genes … some of you may disagree but I do think that the Asian body does not tolerate wine as well as the white’s body. 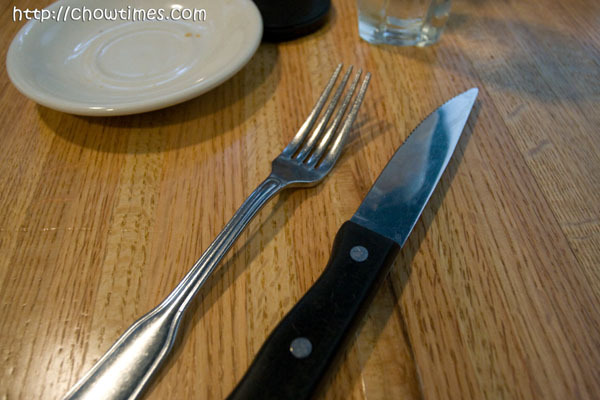 The knife looked meaner than the normal steak places. Looking around our neighboring tables we can see why — all of them have mean looking chunks of meat. The cuts are so big I got quite of a shock. I mean, I had seen large steaks but seriously not so many all around me. I thought … man, this is going to be fun. I LOVE steaks. Fourth day … we finally got wheels. We rented a car from Hertz which will allow us to travel outside of Washington DC. Besides we also needed a car to get to Philadelphia and New York City later on. Just a bit about car rental according to my experience. You know, I think that the business model of car rental companies is not really renting you a car … it is selling you the insanely exorbitant insurance. That is where they make money. They don’t make money renting you a car for $20 a day for sure. If they stop pushing you to get their insurance, they will close down in a heart beat. Do you agree? We never buy their insurance because we have quite comprehensive coverage anyway from one of our “driver” credit cards. In the event of an unfortunate accident (touch wood), our exposure will only be compensating the car rental company for “loss of use” but other than that they (should be) sufficiently covered by the credit card company. Oh … one more thing. We rented a compact car. When we went to pick up the car, they tried to push me to get an upgrade for something like “$5 per day only”. I declined and guess what … they gave me the upgrade all the same. 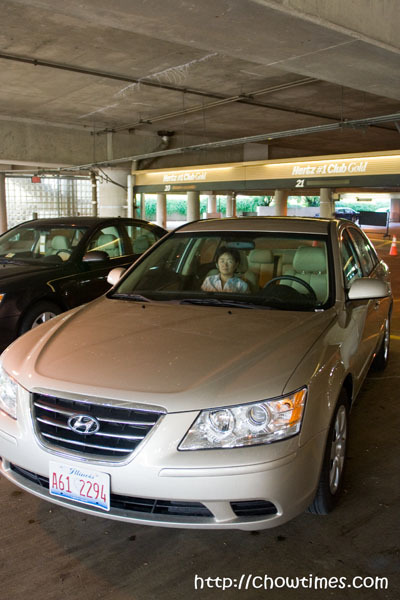 I bet they already know they don’t have a compact car on their lot and why not see if I would pay extra for nothing. 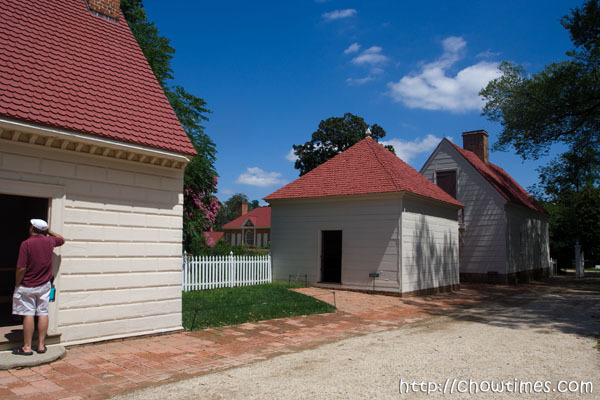 OK, I digressed … back to the actual topic of this blog … Mount Vernon … Home of George and Martha Washington. Mount Vernon is the estate where George and Martha Washington lived from the time they got married until the day that George Washington passed away. It is in this house above that is the center of Mount Vernon. 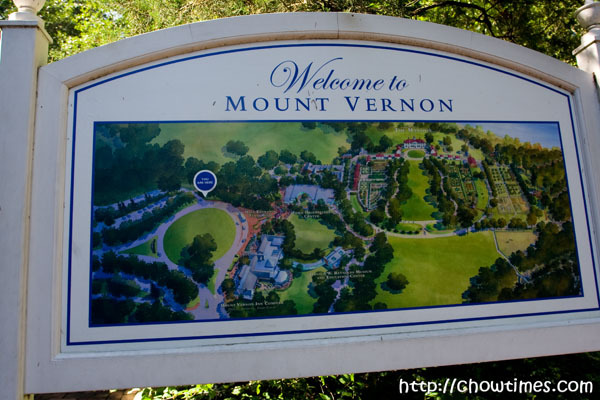 Mount Vernon is a huge estate and it is not easy covering the entire grounds. You will need to spend almost the entire day here. So, don’t expect to just see it all in 2 hours. 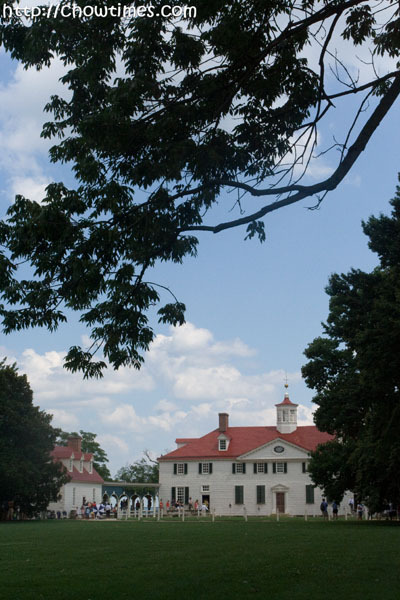 Mount Vernon is located about 30-40 minutes from Washington DC. Adult entrance is $13. 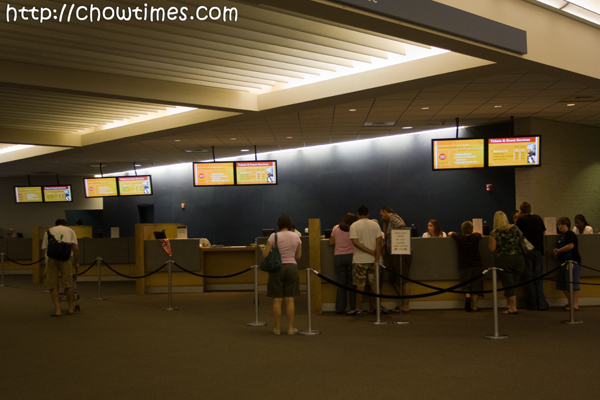 There are extra tours like a Winery and Cruise which costs a few buck on top of the entrance fee. 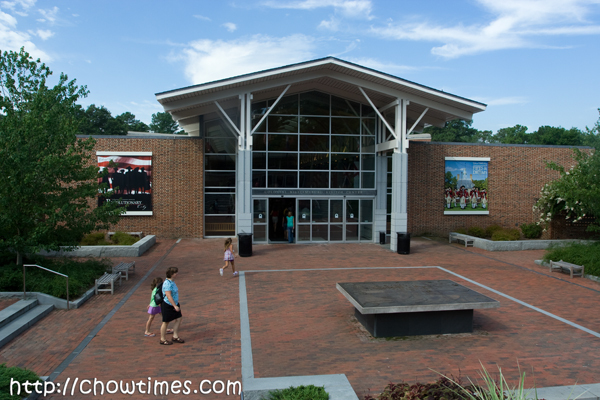 The tour of Mount Vernon started at the Ford Orientation Center where they showed a film of young George Washington. 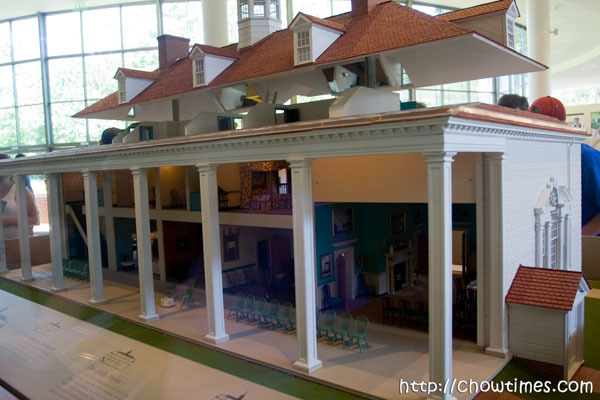 There is also a rather interesting doll house of Mt Vernon which shows how the house was laid out. After spending some time at the Ford Orientation Center, we picked up our audio guide and off we went exploring the estate. 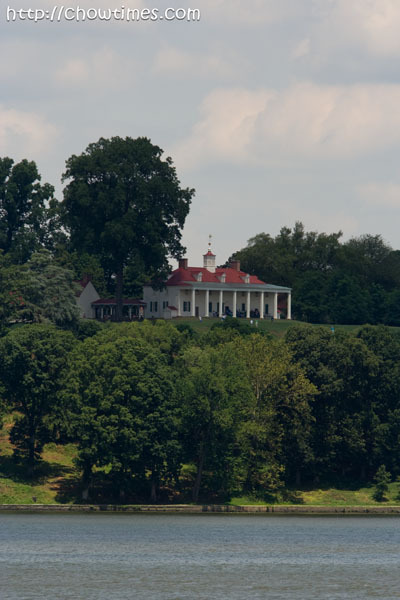 Mount Vernon overlooks the Potomac River which flows all the way to (from?) Washington DC. I can see why this particular spot is one of the best place to build a mansion. Although the design of the house is not overly grand but considering that this house is over 200 years old, well, it is the best as it could get then. 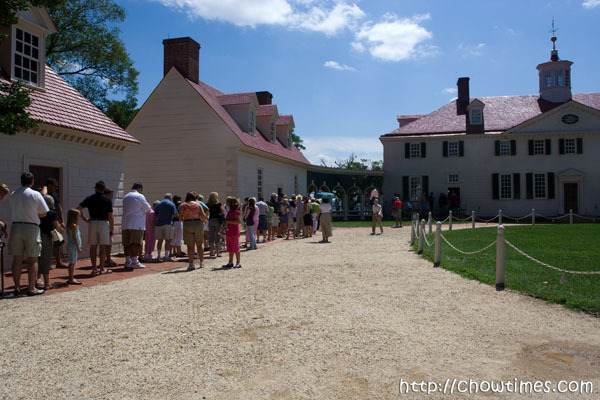 The Mount Vernon house is the most popular place … long line which snakes all the way through three buildings. Sigh … no photography allowed inside. We got a glimpse of how life was during his time and particularly his favourite rooms. They have everything here in Mount Vernon. Back in those days, almost everything is home made. 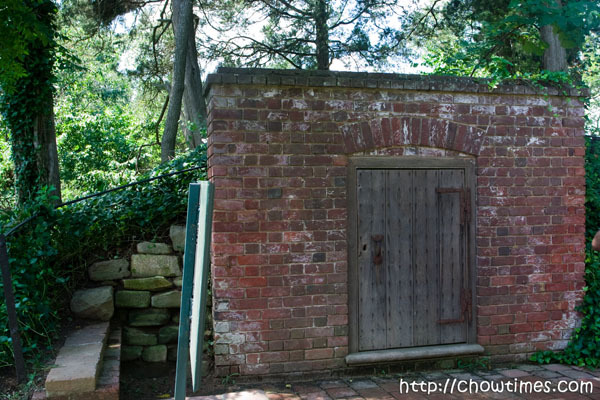 In Mount Vernon, they have a building specifically for washing, for repairing shoes, for making ropes, making paints, making linens, etc. 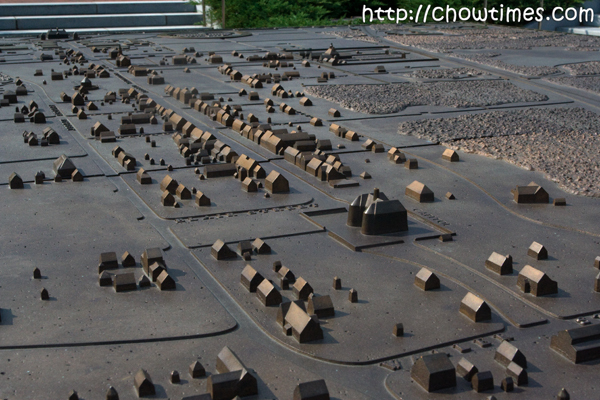 This estate is actually a little town. 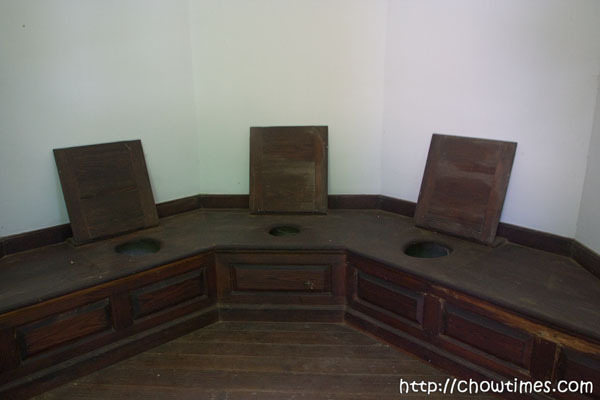 I just gotta share with you a cutting edge facility that is available in Mount Vernon back 200 years ago. it is what is called a necessary. You know what a “necessary” is? A necessary is a necessary thing. Back then there are no flushing system but at least they locate this a bit of a distance from the house. I just wonder why there are three seats … and for that matter, why they are arranged sort of facing one another. If George Washington had not been a soldier and a president, he would have been a farmer. His estate is one large experimental farm where here they devised very creative farming techniques of its time. 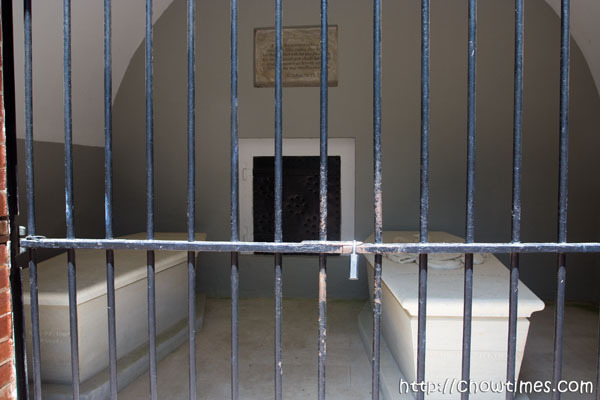 George Washington died in Mount Vernon and is buried here too. The above is the original burial chambers. His body was kept here until the structure began to crumble and they made a bigger, better one. The father of the nation is now buried in a more respectable tomb. Next to George Washington is Martha, his wife. 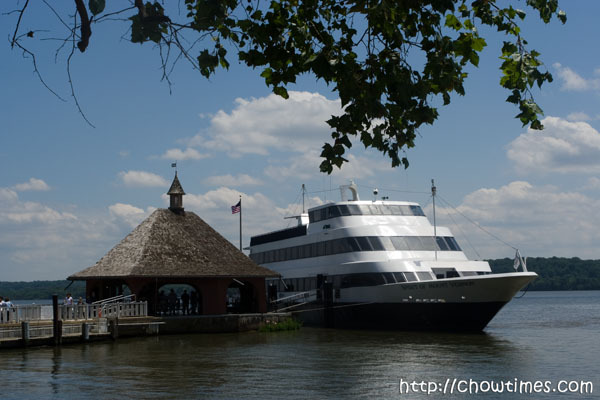 We took the ($9) cruise down the Potomac River from the Mount Vernon Estate. The cruise is fully narrated. I recommend opting for this cruise as it’s actually a good chance to rest yout tired feet from all the walking around the estate. Actually Washington DC is not that far from Mount Vernon. 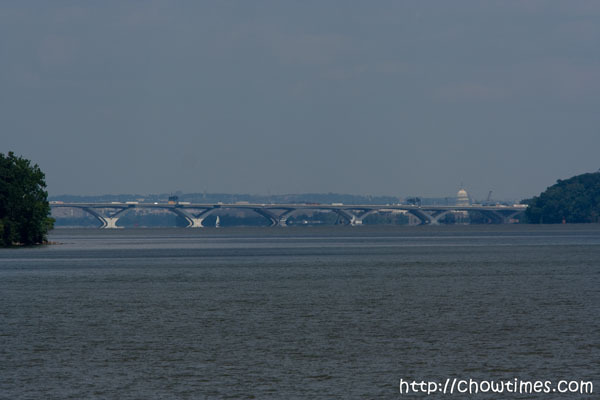 We could actually see the Washington Monument and the US Capitol from the ship. After spending something like 4-5 hours around the estate, we ended up at the Education Center and Museum. 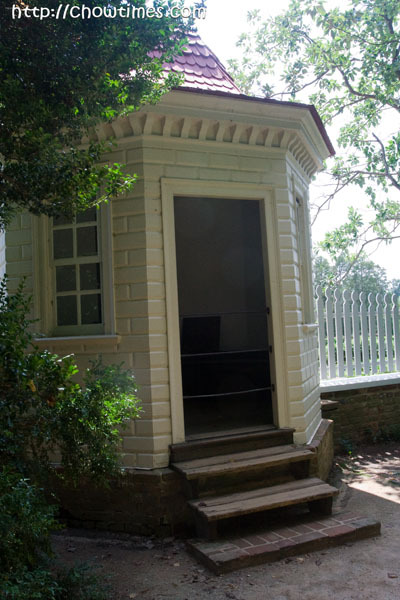 It was perhaps the best place in the entire estate because (1) they have chairs, (2) they have drinks, (3) the “necessary” flushes and and most important of all (4) they have air conditioning. For a history buff like me, I enjoyed this part a lot. We started day 4 in Washington DC with breakfast at Johnny Rockets. This is going to be a day we’re going to venture outside of Washington DC. After three days in the DC area, I guess we had seen enough. At this particular morning, we at least have more choices having just discovered the Food Court at the Union Station the day before. 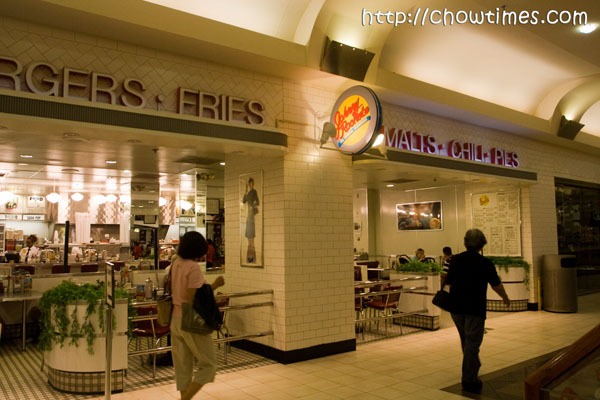 The food court is kind of quiet in the morning compared to dinner time but at least this food court is opened early. 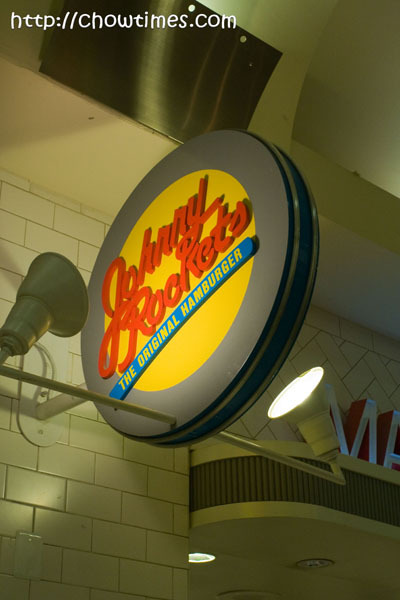 Johnny Rockets is actually a burger joint. Their tag line is The Original Hamburger. Anyone know why they call themselves the original hamburger? I am quite certain they did not invent the hamburger. 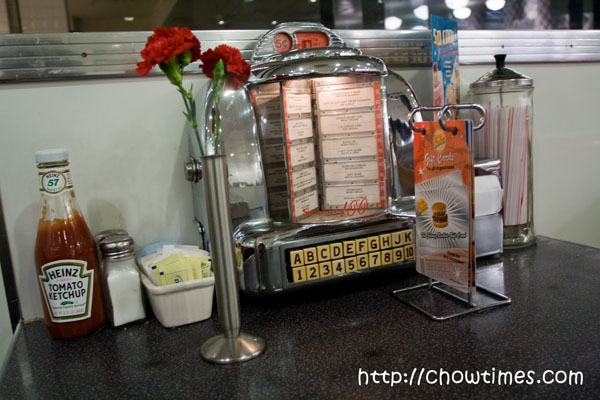 Their intention is to create an atmosphere of the good old fashioned American diner in the 1960s or something. They have a mini jukebox at the table. It was just 5 cents. I popped a nickel into it, selected the song “Donna” but it did not work. Oh well, it was just 5 cents. 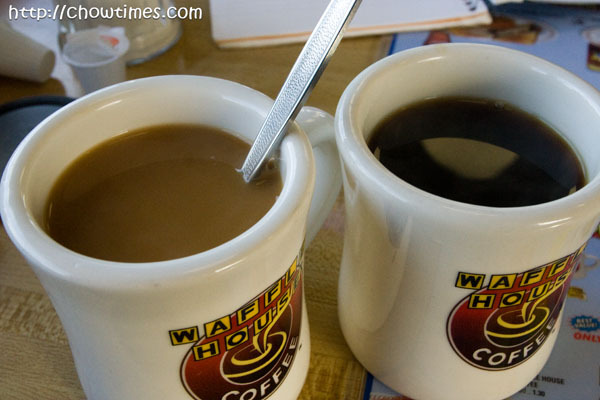 Got ourselves a cup of coffee each. It was pretty good … and free refill some more. All coffees should be of free refill like this — especially when they come by asking if we wanted more without us asking for it. Little things like this makes me happy. 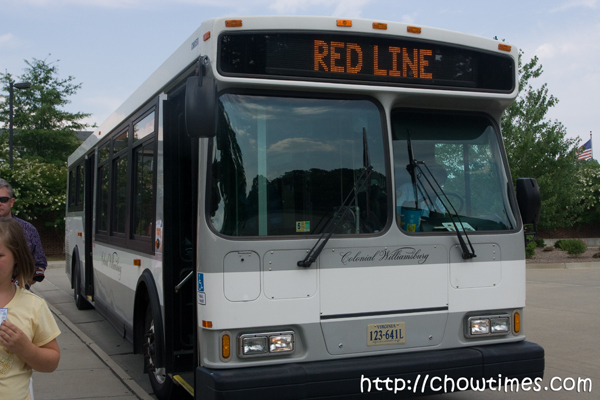 By the time we were left the Arlington National Cemetery, it was already getting late. We did not want to go to unfamiliar neighborhood looking for food and decided to just head back to the hotel and pick up some food at the Union Station. Frankly, we did not care too much for food. We were just too hot and thirsty … both of us thought of only one thing — smoothies. 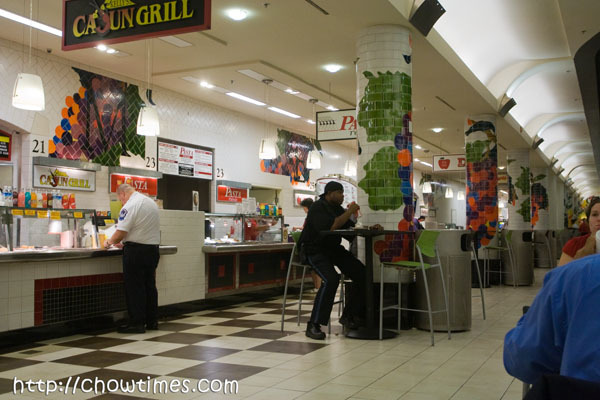 We did not know that there was an even bigger food court at the basement level of the Union Station. 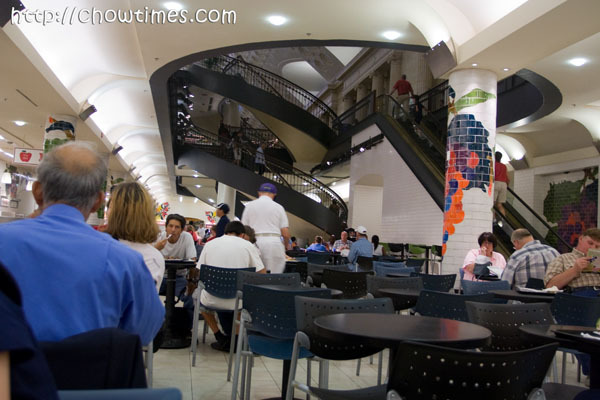 For the past three days using the Union Station, we had always thought that all the eating places were at the street level floor until I peeked down an escalator and there was it … a huge food court with quite a lot of variety of food. At the top of my list of places to visit when we were in Washington DC was, believe it or not, the Arlington National Cemetery. I was not expecting a lot of visitors here in this sprawling military cemetery, not expecting many people would care enough anymore these days about people who died in wars long past. I guess I was wrong. 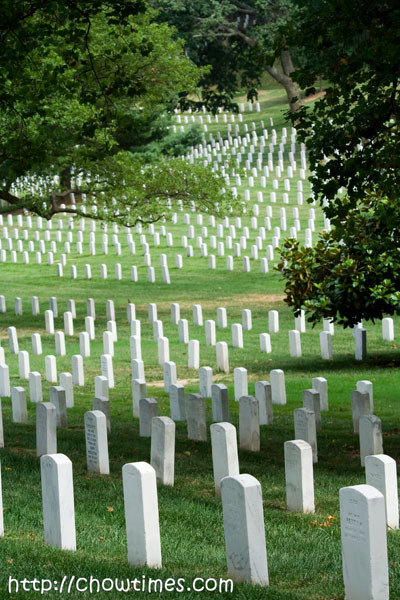 The Arlington National Cemetery is located on a hilly area across the Potomac River. 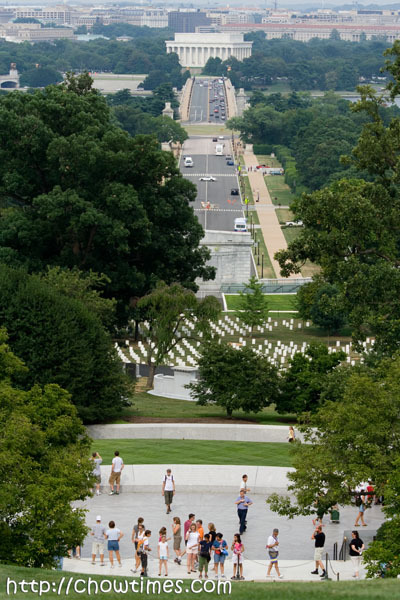 It has a direct line of sight from the Arlington House and President John F Kennedy’s grave to the Lincoln Memorial. We got there using the MetroRail. 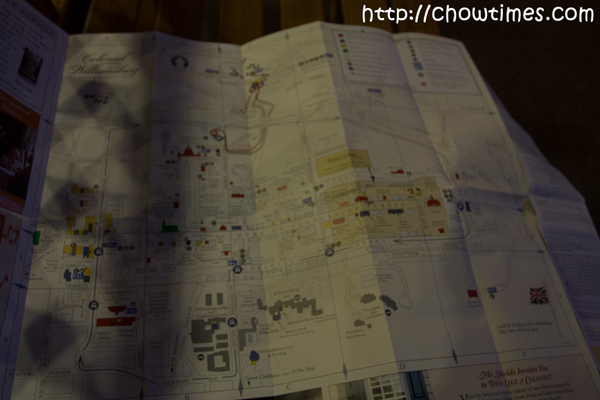 Although you could walk through the grounds, it would not be easy. For one, the entire area is huge and also it is very hilly. Many people get around on open air trolleys. 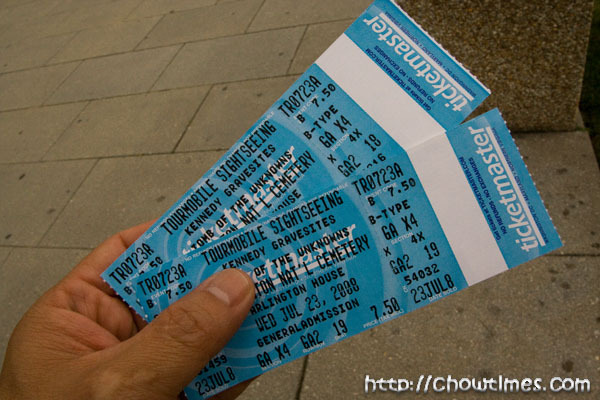 We got the tickets to the trolleys at the Visitor Center. So they are not free. Time yourself well as I recall the trolley buses stop running quite early, like 5PM or something. 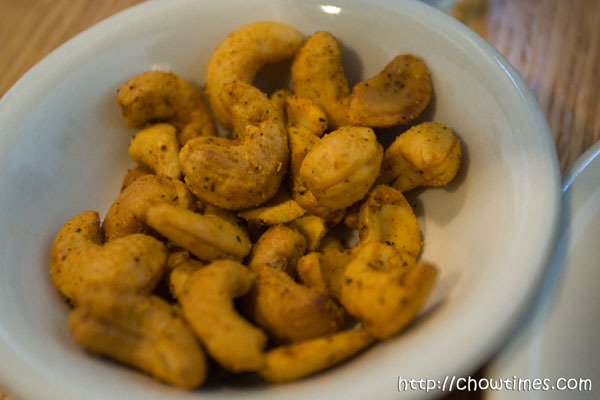 Despite the name of this post, nope, this is not about my recipe. 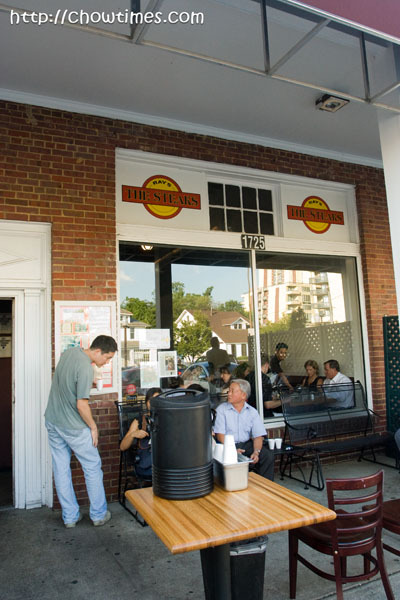 This is about an unpretentious eating place which had turned out to be a Washington DC landmark and had been here since 1958. We went to Ben’s Chili Bowl right after our visit to the Library of Congress. We had actually wanted to also visit the US Mint too but … oh wow … those guys at the US Mint did not allow anyone who has a camera in. 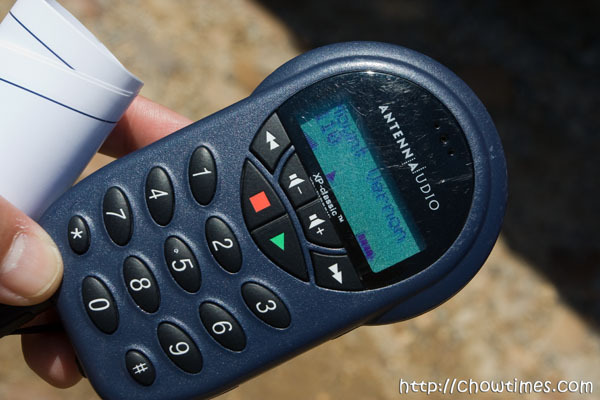 They don’t care if you put it in your bag, or even take out the batteries but if you have a camera, they won’t let you in. They don’t even have lockers for you to lock up your camera. Ooops … I digressed … back to food. Sorry if I don’t understand food like hot dogs and sausages. 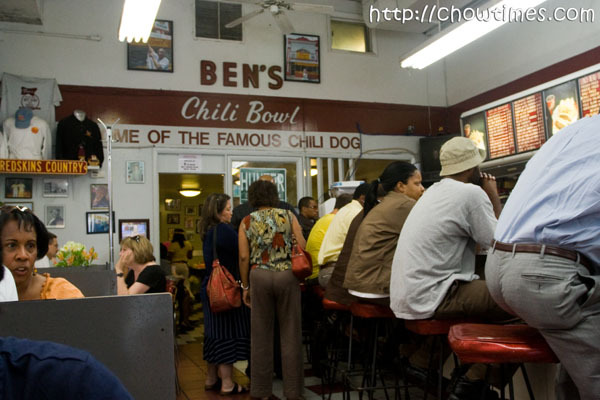 What amazes me is how a place like Ben’s Chili Bowl had become such a landmark of a national capital. If I am not mistaken, I recall someone (Jason?) remarked on chowtimes that the food here is over-rated. I think that observation is right. But then it is still a great place to grab a quick bite. Judging from the looks of the place, this is certainly a local favourite. Lots of people for sure but the place is larger than the looks from the outside and the table turnaround is very quick. I see quite a lot of office workers (or at least they look like office workers) here. 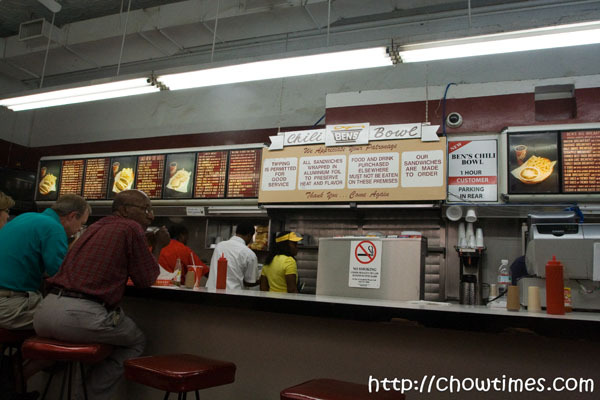 I read that Ben’s Chili Bowl had always looked the same right down to the furnitures, menu and look for the past 50 years. 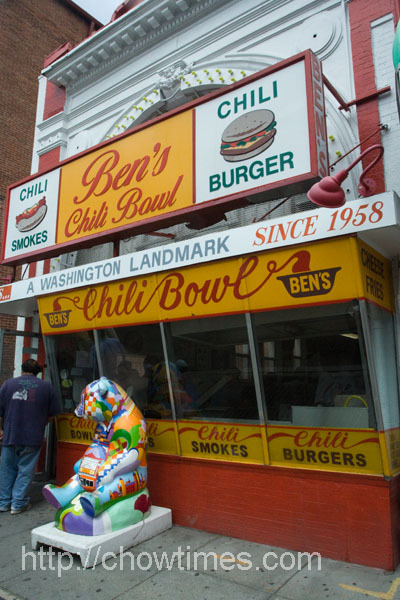 Bill Cosby made Ben’s Chili Bowl famous around the world. 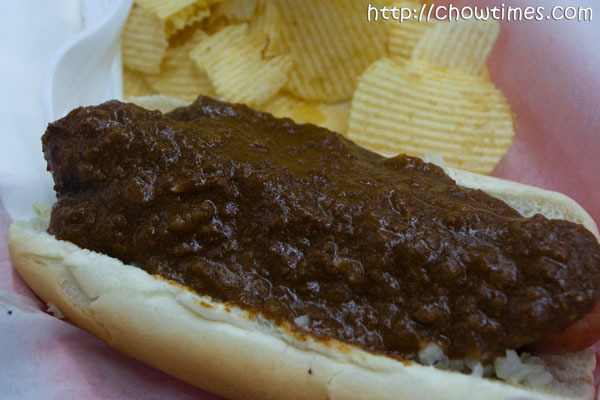 Story has that this cheap guy brought his future wife to Ben’s Chili Bowl on dates. And that is dates with a “s”. He had also often had press conferences at this restaurant. That is why there is a posted sign here that says here a list of customers who can eat here for free … and that list has two lines: “Bill Cosby” and in capitals “NO ONE ELSE”. Oh I went into their washroom and guess what I found. They actually provide chalks and encourage customers to draw graffiti on their walls! 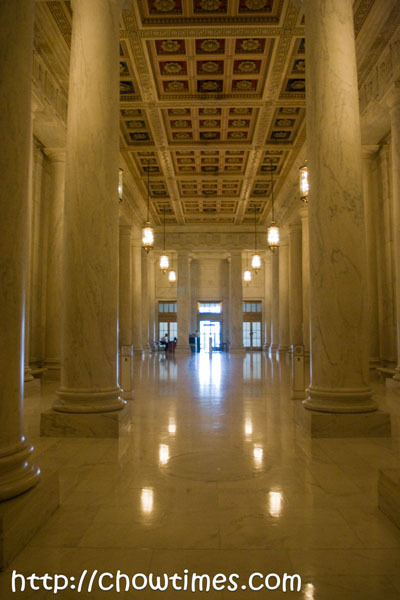 Just next to the Supreme Court of the United States is the famous Library of Congress buildings. 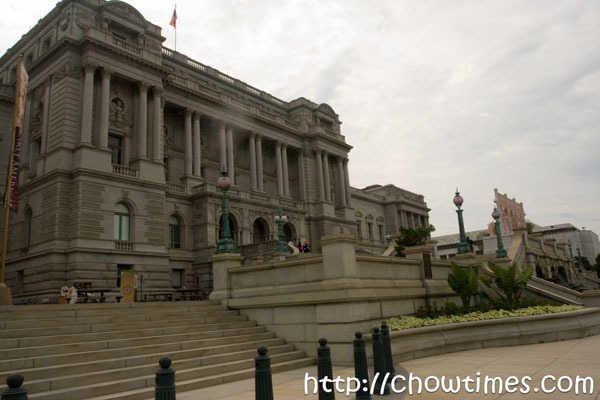 The Library of Congress is actually the world’s largest library in the world, bar none. It is so big that it is twice the size in terms of number of books compared to the next biggest library, the British Library. 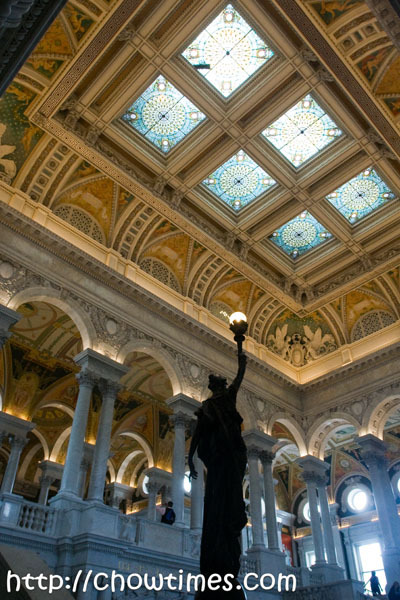 The Library of Congress is established in the year 1900 to serve the research needs of Congress, hence the name. The Library of Congress is actually located in three separate buildings but the most beautiful and prestigious of them is known as the Thomas Jefferson Building. That is the building that the tourist congregates to. The entire building is elaborately decorated. As much as it is beautiful on the outside with water fountains, what we saw when we went into the building was simply jaw-dropping. On the third day in Washington DC, we woke up later than usual. We only had a few places to cover for the day which is good since we had walked so much the day prior covering the monuments and museums the past two days. Also, we were beginning to get over the 3 hour difference jetlag. So when I said we woke up later as usual at 8 AM … he he he … it is 5 AM in the west coast. 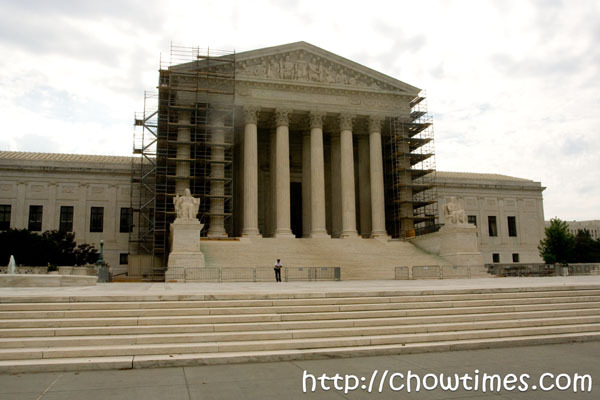 The Supreme Court of the United States is the least visible of the three branches of the US government but is as equally as important to uphold the justice system. It is the highest judicial body of the US and performs as a check and balance against the legislative and executive branches. 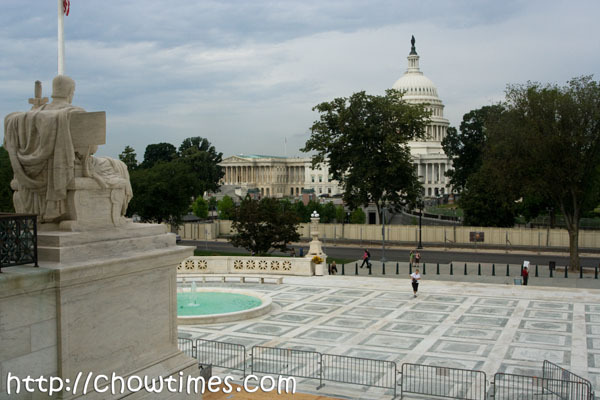 The Supreme Court building is located “behind” the US Capitol. It is symbolic in that it overlooks the interpretation of the law. There were not many tourists here. We were initially unsure if it was opened to the public but it was. Slightly off topic … when I first had to decide on a career way back when I was in school, I was told that if I chose accountancy and finance, I would have the best chance to raise to the top of the corporate ladder. So, after a few days here in Washington DC, I am beginning to think that if one aspires to be a country’s leader, the course to take is law. After all, everything about the administrative of the country revolves around law. So then … here is my simpleton theory … if you want to serve on the private sector, study finance … if you want to serve in the public sector, study law. Silly me … I choose IT.